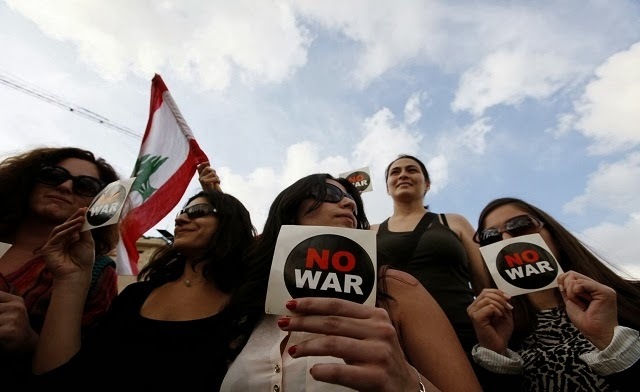 WILL WAR COME TO LEBANON IN 2014 ? (1) Hezbollah, which is taking an increasing number of casualties as the consequence of its military intervention in the Syrian Civil War, is building up its fortifications and installations in southern Lebanon of late, as if its is anticipating a war with Israel in 2014. (2) Suicide bombings, and terrorist actions, apparently perpetrated by all the players, have increased, and are threatening the fragile Lebanese domestic situation. (3) The lack of a proper government in Lebanon is polarizing the various political factions even more than in 2013. (4) Problems in Iraq, Turkey and Egypt, as well as the Palestinian Territories are affecting Lebanon, its competing factions, and the prospects for a return to outright civil war in the short term. you, or your clients, could suffer a major loss. Prominent El Paso attorney Marco Antonio Delgado, a contributor to a number of local charitable causes, was sentenced* to twenty years in Federal Prison, for his money laundering activities on behalf of a Mexican cartel. Delgado, who is believed to have moved up to $600m in drug profits, refused to enter a plea in the case, which his attorneys asserted showed that he was not mentally capable of assisting in his own defense, given his potential exposure, but one doubts that he would have survived a stint in prison, had he provided Substantial Assistance to US law enforcement, which is generally required in connection with a plea agreement. He still faces additional charges in another case, where he illegally diverted $32m, that was intended for a Mexican utility construction project, and deposited the funds in the Cayman Islands. For those who believe that his sentence was too stiff, look at what he did: conspired to launder narco-profits, in the hundreds of millions of dollars. * United States vs. Delgado, Case No: 12-cr-02106-DB (WD TX). The global popularity of the series Breaking Bad, which is the dark story of a cancer-stricken high school chemistry teacher's descent in drug trafficking, seems to have resulted in the adoption of the title into common use. The designation of a Canadian husband and wife, arrested in the United States for bulk cash smuggling , as the "Breaking Bad couple," has caught the attention of compliance officers, not for their crime, but for their unwitting participation, much like accidental criminals, whose ignorance, or disregard, for the law has been extremely costly for them. Robert & Joanna Lee Booth, a couple from British Columbia, were returning from a road trip to Winnipeg, when winter storms in the Canadian Rockies caused them to divert through the United States. Upon arrival in North Dakota, an inspection of their vehicle turned up CAD$78,080.00 in cash. 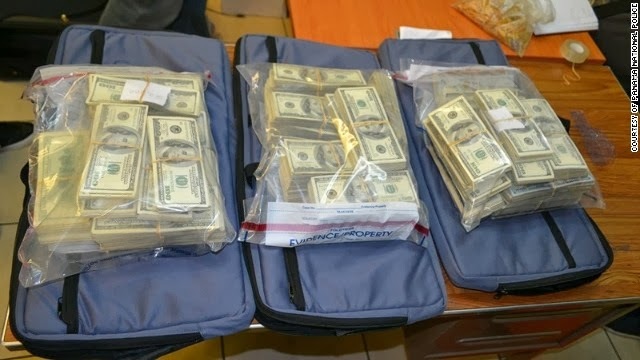 They had fiAled to declare that they were carrying in excess of USD$10,000 in cash, or the equivalent in any other currency. They were taken into custody, and charged with Bulk Cash Smuggling*, and related offenses, and held pending trial. 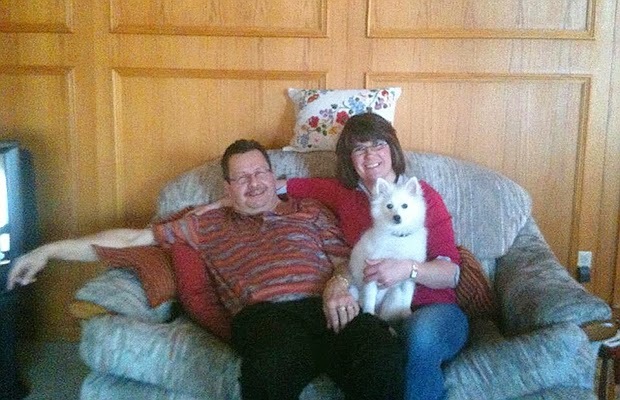 They first claimed that the money was gambling winnings, but when the truth came out it appears that they were a couple, down on their luck due to job losses, and who took to transporting "British Columbian Bud" (marijuana) to Winnipeg for sale, and that the money represented the proceeds of crime. Their story elicited widespread sympathy in the media, as well as the comparison to the hit television series. Ultimately, they changed their plea to guilty, and the Court sentenced them to only Time Served, meaning that the three months that they were incarcerated was the sum total of their prison sentence. They did end up forfeiting the money, though. 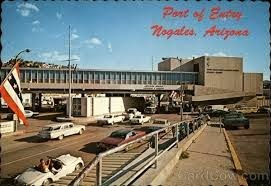 One wonders how many foreign visitors remember to read the US Customs forms, signs, and other posted warnings, about declaring their cash, wen entering the United States. or did the Breaking Bad couple simply gamble that they would not be searched ? *United States vs. Booth, 13-cr-00176-DLH (ND). The failure of the senior leadership in Turkey to allow the country's law enforcement and prosecutorial agencies to adequately investigate corruption, in connection with massive Iran sanctions facilitation operations, means that the Iran sanctions evasion schemes are not ending anytime soon. This is not good news for compliance officers at international banks whose clients trade with Turkish companies. To add to the problem, the President of Turkey has announced that he will be making an official visit to Iran in February. Many observers of Turkish politics believe that Turkey will continue to ease itself closer to Iran, expanding its abilities as a sanctions facilitator, moving away from its relationship with the United States, and increasing trade between the countries manyfold. Bottom line: kindly check all client large transactions with Turkish companies and government agencies, lest you be facilitating something that ends up in Tehran, aiding its WMD, or ballistic missile programs, and your bank draws an OFAC civil penalty as the result. Readers who are members of Federal or state regulatory agencies, and are planning on attending one of the three 2014 Financial Crimes Seminars given annually by the FFIEC, at the FDIC L.William Seidman Center in Arlington, be advised that I will be again presenting the two-hour slot on money laundering. My first scheduled presentation is the fifth of March, from 3-5 PM. If you are in the audience, feel free to come up with any questions or comments that you may have. The United States Treasury Department has levied a civil penalty of $9,492,525 upon the Bank of Moscow, for Iran and WMD sanctions violations. 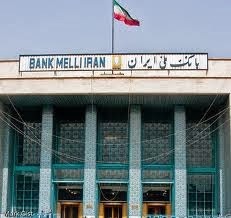 Bank Melli's Russian subsidiary, Bank Melli Iran ZAO, a sanctioned entity, moved over $41m through the Bank of Moscow. Wire transfer documents were altered to remove all mention of the bank, or Iran. You can review the complete text of the OFAC Civil Penalties information here*. A Criminal compliant filed in Panama, against Balboa Bank & Trust, Ramon Fernández Quijano, and Julianne Canavaggio, for $554,876.83, should serve as a wake-up call about the fact that accounts at local banks in Panama are neither insured, nor protected by regulatory authorities, and the corrupt court system does not guarantee speedy relief, or any relief at al, for that matter. The plaintiff alleges that the bank, formerly known as Banco Translántico SA, ordered an incoming wire diverted, into the bank's own account at Commerzbank in Germany; clearly, a criminal act. Reports from Panama indicates that the bank, at that time, was controlled by Russian organized crime, and that the Russian had obtained ownership of the bank through collusion with Panamanian government officials, at the ministerial level. Sale of the bank was later ordered by the Superintendent of Banking. (1) Customer deposits at banks located in the Republic of Panama are NOT insured, nor is there any method through which relief can be obtained with regulators. (2) According to public statements of the Superintendent of Banking, most Panamanian banks are under capitalized, and are deficient anywhere from 15 to 50% of capital; This means that the risk of failure, and a total loss for your client, is something you must consider before placing funds there, or investing in businesses that deposit their cash flow in these banks. (3) The current government cannot help you, because it can only cover one-quarter of its proposed 2014 budget. expect no assistance in any form from the authorities. If you have ever had a client's funds frozen, or embezzled from a tax haven bank, you know that such events can wreak financial ruin for your client, and cause reputation damage to you or your corporate entity. The word for Panama, if you are a prudent businessman: place only such funds or investments there that you can stand to lose 100% of, and do not borrow funds elsewhere, to invest in Panama. The personal risk levels, in in such a booming economy, are high; watch yourself, please, in Panama. A civil rights NGO in Israel has filed suit, in the High Court of Justice, to compel the country's Foreign Minister, to produce evidence that the Bank of China was warned about allowing Hamas and the Palestinian Islamic Jihad (PIJ) to use accounts of the bank, in the United States, for terrorist funding purposes. Several months ago, a request was submitted to Israel, in an American lawsuit, filed by the next of kin of Americans killed in terrorist attacks in Israel, against the bank of China. but the information, and witness testimony, has not been forthcoming. Reports indicate that the Government of China had brought pressure to bear upon Israel, to decline any cooperation in the case. I can understand the bank's fear of reputation damage, in the international financial community, but this crosses the line, in my humble opinion; it reinforces China's reputation as a bully. 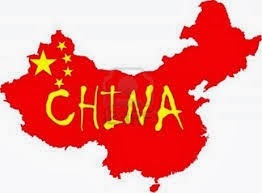 The use of political pressure against Israel, regarding the release of information that could subject the Bank of China to an eventual multi-million dollar judgment, is not only disturbing, it is a reminder that one cannot expect the truth from China, regarding money laundering and terrorist financing, and that this must always be factored into your Country Risk assessment on China. Beware the news about the Republic of Cuba having passed new laws regarding money laundering, terror financing, arms proliferation, and other forms of illicit finance, purportedly to allow the freezing of assets of terrorist organizations. This new legislation was enacted purely to pacify the FATF, and not to actually empower the state to seize terrorist funding. Cuban-American history aside, there's a reason that Cuba has long been a State Sponsor of Terrorism, under US law. It nurtures and facilitates the development of most of the world's specially-designated global terrorist groups, notably the FARC, the ELN, ETA, and the Lebanese and Palestinian terrorist organizations. In truth and in fact, Cuba is not only a safe haven for these terrorists, it is a central meeting place for their interaction with one another. Cuba and Venezuela have hosted several major meetings of the world's terrorist organizations, the sole purpose of which was to network, and coordinate their illicit fundraising activities, especially narcotics trafficking. And if that's not reason enough to discount any anti-money laundering legislation, note well that a large portion of the criminal proceeds of the billion-dollar Medicare fraud is now sitting in Cuba's government-controlled banks, out of reach of American law enforcement agencies, through cooperation between the Cuban Government and the organized fraudsters engaged in that activity in Florida. They have moved their illicit profits into Cuba, generally through foreign banks in the Caribbean and Canada. Up to 150 Cuban fraudsters are believed to have fled to Cuba, to avoid criminal prosecution in the United States; some are indeed Cuban-Americans, but other are Cubans imported into Florida especially for the purposes of acting as front men, and then escaping to Havana. Therefore, any EU or Asian bankers who now feel better about sending client funds into Cuba, for investment purposes, believing that the FATF will soon remove Cuba from its "grey list," think again. 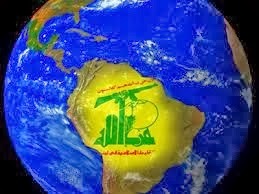 IRANIANS AT MIAMI COMPANY CONDUCTING CYBERWAR FOR SYRIA IN OUR BACKYARD ? 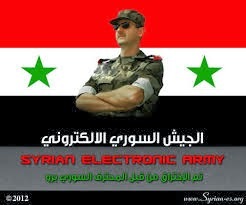 The Electronic Frontier Foundation, an advocacy group for Internet freedom, is not generally associated with the the conflicts in the Middle East, but recent information released by the EFF has pointed out a disturbing aspect of the ongoing online activities of organizations supporting the Syrian regime of president Assad. This incident, which for yours truly is too close to home for comfort, should alert compliance officers to a potential problem: are you unwittingly banking any individuals or companies that are violating American sanctions against Syria ? 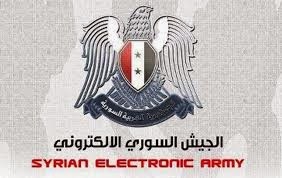 The EFF has accused a Miami IT company *of committing cyber-attacks on behalf of the Government of Syria, which probably violates a number of existing US sanctions, beside constituting a number of Federal criminal violations. The principal officer behind the operation is an Iranian national**, though he cleverly appears on the Internet as being from the United Arab Emirates. Expats living in the Gulf know very well that there are 400,000-500,000 Iranian nationals living in the UAE. It appears that the other officers of the no-defunct LLC are also of Iranian ethnicity. Though I am not an advocate of profiling, American compliance officers may want to take a hard look at the surnames of their bank clients, who claim to be from the United Arab Emirates, and to give obvious Persian names an Enhanced Due Diligence investigation, just to rule them out as agents of the Islamic Republic of Iran, who have chosen not to report their status to US authorities. Perhaps you have a bank employee who speaks Farsi, who can assist you; if not, you should outsource this task. Remember the Suitcasegate case in Miami ? The US Attorney charged the Venezuelan defendants with being undisclosed agents of a Foreign Power. I assure you, if American law enforcement determines that Iranian agents, residing within the United States, are engaging in acts in support of the Syrian regime, they will take action, and there could be reputation damage to those financial institutions that were banking them. With public opinion in the United States being overwhelming against the repressive regime in Syria, you do not want to be on the wrong side of this in the media. * Avesta Networks LLC, 7950 NW 53rd Street, Miami, Florida. The Dutch fraudster who has plied his trade within the Republic of Panama for several years, Okke Ornstein, had a warrant issued for his arrest today. Ornstein's appeals, of five criminal convictions entered against him, were dismissed, with prejudice, as being totally lacking in legal merit; costs were assessed against him, for filing a frivolous action. His efforts to obtain relief at the Supreme Court of Panama were also denied, and the Government has issued a warrant, so that he may be taken into custody, to begin serving a number of consecutive sentences. He also awaits sentencing in a case where the prosecutor seeks a ten year period of incarceration. Ornstein first came to the attention of law enforcement when he was the general manager for convicted fraudster and "offshore specialist" Marc Harris. Since then he has participated in a number of schemes, all intended to fleece the investing public, such as the Tulip Fund, and reportedly engaged in extortion, and at least one kidnapping. 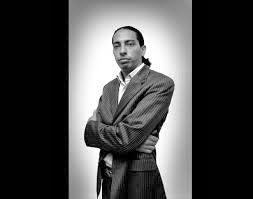 He is considered a career criminal, and does not hesitate to smear anyone who exposes his scams. I fully expect that this article will draw his wrath, as shoot the messenger is his favorite tactic. His most recent scheme was one of the most outrageous yet; professing to be a journalist, he claimed to be interviewing displaced victims of the Syrian Civil War, in refugee camps in Syria, and solicited financial donations from the public for his alleged expenses. Anyone who has followed the news from the Middle East know that there are absolutely no refugee camps inside Syria, which is an active war zone. All the refugee camps are outside the country. The Government of Venezuela is engaged in the covert purchase, and delivery, of 10,000 small arms, notwithstanding that it is a signatory to a number of international conventions and agreements regulating such transactions. This action is extremely disturbing, given the unstable conditions that presently exist in the country, and the total absence of the rule of law in the judicial system. What is the government planning ? 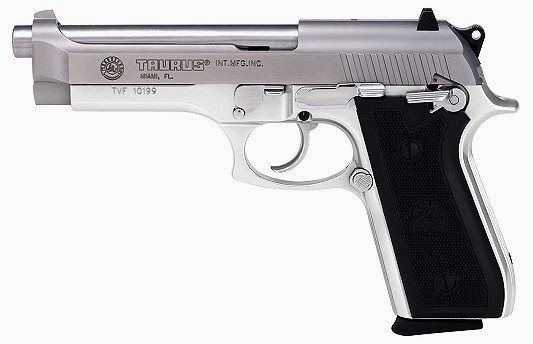 The weapons, reported to be handguns made by Taurus, the Brazilian firearms manufacturer, are being shipped into Venezuela in parts, for final assembly in-country. Though no information has been uncovered on whether the Government of Brazil has a role in this matter, this type of transaction requires an export permit, which cannot be obtained without at least tacit Brazilian governmental support. Reportedly, the invoices and bills of lading conceal the true contents. Venezuelans are starving for lack of essential food items, yet the government can pay in advance for weapons. The type of handgun said to be contained in the shipments, the components of which are rumored to have already arrived, is a clone of the Beretta 92 9mm, which is the standard sidearm of the military of many nations. The type of carrier engaging in delivery is not known. Long-time readers of my articles will recall the furor when I broke the information, a couple of years ago, that a large number of handguns, in bulk, were being imported from Brazil, into the direct control for then-President Chavez, to be distributed to the country's Pro-Chavez Militia. In that case, there was also an export permit issued, although it was for an extremely large quantity of weapons. History seem to be repeating itself. If Venezuela descends into civil war, as many experts fear, this quantity of weapons, in the hands of pro-government supporters, could result in mass casualties in the streets of Venezuela's cities. If the intended end users are the newly-arrived Hezbollah security officers, then we should anticipate large numbers of dead and wounded in any clashes between the Opposition, and the regime's new internal security apparatus. 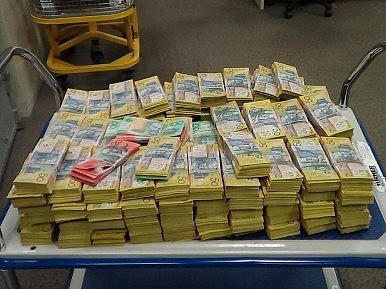 Buried in the information concerning this week's major drug money laundering case in Australia, where a half a billion dollars in assets and drugs was confiscated, and multiple arrests made, was a important detail about Hezbollah; did you miss it ? The drug money was laundered by being distributed to legitimate recipients of foreign money transfers in Australia, in lieu of the actual funds, which were en route to them; the criminals would then divert the payments to themselves. 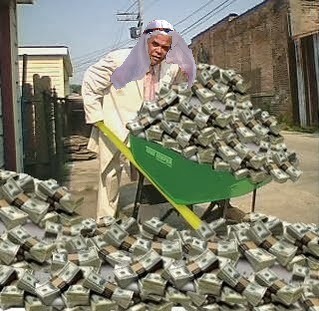 Coming from legitimate MSB sources, they in effect converted their illegal narco-profits, into legal foreign remittances. Australian authorities stated that Hezbollah was extorting money from the MSB that was diverting the legitimate payments. It demanded, and received, a portion of "every dollar that it laundered." Think about that for a moment. Hezbollah, which has no part in the drug money laundering, inserts itself into the payment process, much like a taxing authority. The Taliban have this extortion thing down to a science; perhaps Hezbollah to a page out of their playbook. First of all, we are obviously talking about MSBs in Lebanon; Hezbollah has the power to coerce payments in any area where it has a military presence to enforce its demands; That means Beirut. (2) Kassen Rmeiti & Co. For. Exchange a/k/a Rmeiti Exchange. Given the influence that Hezbollah exerts over Lebanon, one must assume that it can extort payments from any MSB operating there, and you should act accordingly. Unless and until Lebanon has either disarmed, or defeated, Hezbollah, regard all Lebanese MSBs as probable associates with that terrorist organization, as the level of risk with Lebanese MSBs should be regarded as extremely high. Standard Bank PLC, the UK arm of South Africa's Standard Bank, has had a £7.6m fine levied upon it by the Financial Conduct Authority (FCA), for weaknesses in its anti-money laundering systems and controls, as they pertain to Politically Exposed Persons, or PEPs. 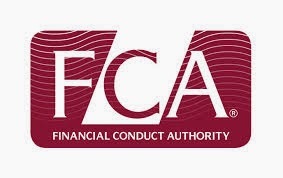 A summary of the agency's findings can be found on the FCA website, http://www.fca.org.uk/ , under "Latest News." A report, released this week by a prominent investigative organization, has confirmed that tens of thousands of Chinese PEPs are utilizing corporations formed in offshore tax havens, to hide illicit profits from public view. The report, which claims that 37,000 Chinese PEPs hold corporations overseas, for the sole purpose of secreting assets, lists PEPs as high as relatives of the most senior Chinese leaders. This blog has warned its readers for years about the dangers of opening accounts for Chinese nationals with substantial deposits, for many of them are placing illicit bribe and kickback profits out of the reach and knowledge of Chinese authorities. Given the lack of reliable chinese resources to verify clients' stories, it can be next to impossible for a Western compliance officer to rule out a new client as a PEP. Without adequate confirmation, you simply cannot bank wealthy Chinese nationals, as they present an unacceptable level of risk. Do not be taken in by unverified statements of clients about their Source of Wealth, as corruption among government officials is out of control, and the prospect of additional revenue is overshadowed by the risk that you are facilitating money laundering. The report casts blame upon Western banks and professionals, who assist the Chinese PEPs in constructing an opaque method of concealing their illicit wealth. It also suggests that corruption of Chinese PEPs is so widespread that compliance officers need to consider this as a central issue for the purposes of Country Risk. The Government of China is reportedly blocking not only the report online, but has also blocked articles discussing the report, probably because it is so damaging to China's image, and because the typical working-class Chinese citizen is incensed that his country's senior leaders have become greedy and arrogant, while publicly extolling the virtues of the government and its institutions. 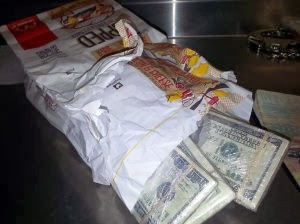 A United States District Court Judge in Arizona has sentenced an individual who attempted to smuggle $50,000, in cash, hidden in a bag of burgers, into Mexico, to five years Probation, a decision that will certainly be criticized, in light of the fact that the maximum penalty for Bulk Cash Smuggling is five years in Federal Prison. Smuggling narcotics profits back to Mexican or Colombian cartels fuels their illicit enterprise, driving still more narcotics north, in the United States, where the cycle continues. If Probation becomes the norm for first offenders involved in bulk cash smuggling, as one Federal Judge once remarked, people will be lined up to accept such criminal employment, for Probation is never sufficient to deter crime. The purpose of sentencing is to make the public aware of the consequences of engaging in criminal activity, and to deter others from being tempted to break the law. If the punishment is only a non-custodial sentence, where is the deterrent ? The usual suspects are shaking in their boots in Panama City, for the convicted Ponzi schemer/pyramid fraudster, David Eduardo Helmut Murcia Guzmán*, will reportedly be made available for a video deposition, from his undisclosed location in the United States. Murcia, you may recall, left $3-4bn in liquid assets**, and substantial investments in Panama, when he was summarily extradited to Colombia, to face criminal charges there, and the vultures stole him blind shortly after he departed. Now, in response to a Panamanian request, he has agreed to give sworn testimony about the sum and substance of his dealings with prominent Panamanian banks, businessmen and money launderers. The reason for all the hoopla: the majority of his investments were outright stolen when he was extradited. Though real estate, yachts and cold cash represent the bulk of the missing treasure, sixteen luxury automobiles, in the custody of Panamanian authorities, also went missing after he was acquitted in Panama. Murcia can bury a lot of dirty Panamanians, and they know it. Remember, Murcia did "business" with Panama's current president, as well as many other individuals, many of whom assisted him in making major investments in Panama. Will any of them be forced to disgorge their illicit holdings to the Government of Panama ? We cannot say, but there are many in Panama City who will not be sleeping well this month, or next. *Murcia's Colombian conviction and 30-year sentence, was recently affirmed on appeal, though it appears that the United States Government may allow him to reside in America, and not be returned to Colombia, in exchange for his continuing cooperation. ** Murcia is frequently described as the Bernard Madoff of Colombia, due to the size of his criminal enterprise. If you are conducting Due Diligence investigations on Ecuadorian companies or individuals for Customer Identification Program (CIP) purposes, you should not rely upon anything from the country's media. 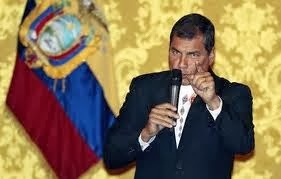 The Government of Ecuador has been pursuing independent and opposition media, through the filing of bogus criminal charges, and the appointment of a so-called watchdog group, whose obvious aim is to shut down any investigative reporting on government activities. The Correa regime's policy is to establish a strong government-controlled media, and to accuse those who publish any dissenting views of criminal activities. The other ploy in use is to link Ecuadorian groups who contest government policies with the Central Intelligence Agency, or other US Government influence, and play upon Anti-American sentiment. In short, the time has come to discount all open-source Ecuadorian media, as most of it parrots the government position, and artfully conceals relevant negative information. If you must acquire information on Ecuadorian targets, it is recommended that you engage competent investigators to quietly conduct their inquiries in-country, and report back to you their objective findings. Foreign Office documents declassified after thirty years indicate that the King of Spain advised the British Ambassador in 1983 that Spain did not really desire sovereignty over Gibraltar. King Juan Carlos admitted, to the British Ambassador to Spain, that it was not really in Spain's interest to regain Gibraltar after 300 years, because it would cause Morocco to immediately renew its demand that Spain turn over its North African enclaves and territories, including Ceuta and Melilla. Those small remnants of Spain's colonial past are occupied by Spanish nationals, and Spain dearly wants to retain possession. 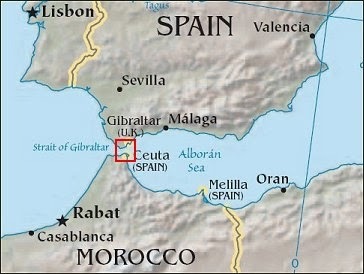 Though this appears to directly contradict recent Spanish actions concerning its claims over Gibraltar, if the actual Spanish position on Gibraltar is that regaining control is not in the Spanish national interest, then one must conclude that Spanish posturing over Gibraltar is solely for its domestic audience, for political purposes. In a country where unemployment is hovering around twenty-five percent, an appeal to patriotism serves to distract the Spanish population from the country's economic woes. Since Spain's noise over Gibraltar appears to be only that, and thus the threat of any action to occupy Gibraltar is non-existent, Country Risk for Gibraltar can now be reduced to those low levels that were in place before the troubles. Alexei Binetsky, Viktor Bout's Russian attorney, has announced that his client is abandoning his quest to seek a reversal of his conviction through a filing with the US Supreme Court. He had previously stated that he was engaging one of America's most prominent law firms to file what he curiously referred to an an "appeal," to the nation's highest court. Binetsky, while not admitted to practice in the United States, has worked in New York, and is familiar with the American criminal justice system. 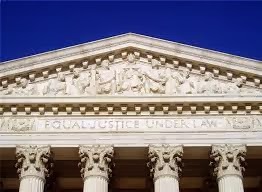 Bout has no more appeals as a matter of right; any proceedings in the US Supreme Court that are available to him are procedurally limited to a Petition for a Writ of Certiorari, which is completely discretionary with the Court. Binetsky further stated that he feels that any petition filed would be futile. As only an extremely small number of petitions are ever accepted by the Court, his assessment is essentially correct. Bout's counsel also said that, in his opinion, he could not be transferred to Russia, to serve his 25-year sentence, pursuant to the prisoner exchange treaty, because Bout was convicted of a crime that does not exist under Russian criminal law. Russian commentators have urged that Bout, somehow, be transferred to Russia, to serve his sentence in a more "hospitable" environment, alleging that Russians are being illegally targeted abroad. When asked why he had emphatically insisted, in the past, that he was taking his client's case to the US Supreme Court, Binetsky asserted that his statements were purely disinformation, designed to mislead Bout's adversaries, although he did not explain who they might be. 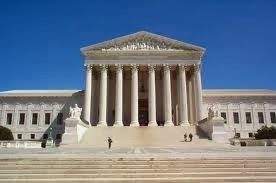 Rule 13 of the Rules of the Supreme Court of the United States provide that a petition must be filed within 90 days after the appellate decision is rendered, and that time has now expired. Though there is a provision granting an additional 60 days to file, such an extension must be granted by a Justice, for cause, and I do not see any grounds available to Bout for such an extension. Therefore, he no longer has access to the nation's highest court. Binetsky affirms that he will obtain judicial relief for his client, in some as yet unspecified manner. Most court watchers are anxiously awaiting to see how Bout's counsel will employ the allegation of Selective Prosecution, to obtain a new trial. Additionally, in both the Bout and Chichakli cases, court watchers are curious to see whether details of their reported covert activities, on behalf of the American intelligence services, which are probably classified, will become public knowledge, and whether these disclosures will embarrass senior US Government figures, as occurred in the Iran-Contra scandal. Individuals with first-hand knowledge of these matters have stated that they could seriously damage America's diplomatic relationships with several African and Asian countries where the operations were conducted. The other issue is whether Viktor Bout's counsel will succeed in having him transferred to a Federal Prison where outside contact is not restricted. He is presently serving his time at USP Marion, in a special section designed to deter convicted terrorists from any communication with the outside world. WHEN A BANK CLIENT USES A PRIVATE POSTAL ADDRESS, WATCH OUT ! Much has been been made of the fact that Americans who wish to protect their privacy, are flocking to private postal facilities, which are privately-owned and run shipping offices, complete with post boxes, where one can have mail sent. Although I understand the logic behind this trend, especially in light of the disclosures about widespread surveillance of Americans by their government, looking for terrorist activity, there is a problem with the use of private post offices: it can effectively hide the location of criminals involved in white-collar, as well as narcotics, crimes. (1) Run the address through a search engine; many private postal facilities have websites. (2) Use a map program, like Google Map. If you zero in on the building, you can generally learn whether it is a residence, or an office building. 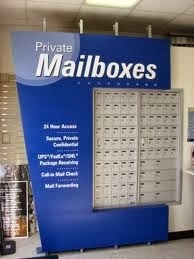 Many private postal facilities are located in freestanding buildings, or in shopping centers that are easy to identify. When I, as a young lawyer, represented American, Canadian and French narcotics traffickers, operating in the United States, I saw that most of them availed themselves of private post offices. Some of them actually purchased these businesses, to serve as fronts, and I observed that many of the sellers were also, themselves, involved in criminal activities. If you find that a client is using a private postal facility, I recommend that you conduct Enhanced Due Diligence immediately, to make sure that they do not pose an unacceptable risk to your bank. The much-publicized Venezuelan anecdote, to the effect that there is no toilet paper to be had in the country, is only the tip of an oncoming iceberg. 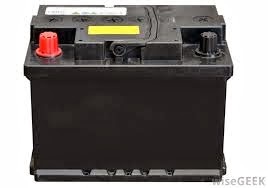 An attorney friend from Caracas called this week to tell me that he cannot obtain a replacement battery for his personal vehicle, because, due to the lack of US Dollars for importers, and the sky-high black market rate that the exchange from Bolivars has ascended to, he cannot get a battery. A major Venezuelan trucking firm, with a thousand vehicles, has only six operational, due to the lack of tires and replacement parts for the fleet. They are actually cannibalizing parts from one vehicle, to fix another. Without shipping capability, no consumer goods, including food, can get to market, and thereafter, to consumers. The prediction is that the Venezuelan economy will soon grind to a halt: no transport, due to lack of serviceable vehicles, means people cannot get to work, cannot obtain food and other necessities, and most businesses will thereafter shut down, for lack of human resources to staff them. The Government of Panama was aware of the details of Stanford International bank's complex Ponzi scheme, but chose to bury that information, allowing the scheme to continue to take in money from unsuspecting investors for years after it received the information. A two-hundred page dossier, prepared by an intelligence analyst, was delivered to the Superintendent of Banking years before Stanford's Ponzi scheme imploded. Furthermore, assuming that the Trustee of Stanford International Bank, and the Securities & Exchange commission, knew about this document, why wasn't this information released to the investing public, and the banking industry, so that they could adjust their assessment of Country Risk for Panama accordingly ? If Panama's Superintendent of Banking, the principal financial regulator in that nation, is not to be trusted, then should not risk levels on Panama be increased to dizzying heights ? 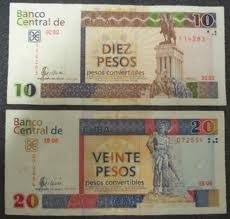 Sometime today, the so-called parallel (black market) exchange rate will hit 75 Bolivars to one US Dollar. The need for dollars, from importers and business travelers who are unable to obtain them timely from legitimate channels, to individuals who have lost all faith in the Venezuelan currency, has become a financial supply-and-demand nightmare for many Venezuelans. (1) Businesses cannot get dollars to pay their debts to foreign creditors. No imports mean no consumer goods on the store shelves. (2) Loans, made in US Dollars, may not be repaid to foreign banks. Defaults could occur as a result. (3) Repatriation of profits out of the country is delayed indefinitely. Many international airlines have been unable to send millions of dollars back to their home offices, and some carriers have stopped writing tickets in Venezuela altogether. (4) The demand for greenbacks could spawn an explosion of counterfeit one hundred dollar bills, as desperate buyers seek out any available source for currency, and get burned. (5) A total disruption of the consumer retail economy could eventually occur, and a complete loss of access to food and other staples may cause civil disorder, riots and a loss of law and order. We shall continue to follow developments in Venezuela. to update our readers on risk. Southbound bulk cash smuggling of narcotics profits generated in the United States continues at a dizzying pace. Panamanian authorities have seized $7.2m in greenbacks, at Panama's Tocumen International Airport. The cash was secreted within the smugglers' luggage. Three Honduran nationals were taken into custody, and Honduran authorities, where the flight originated, want to know exactly how the money made it through airport screening procedures; some law enforcement agents there have reportedly been suspended. This case strengthens the argument that many law enforcement agencies have made in the past, in support of universal x-ray screening of all arriving luggage. Most countries do not screen arriving luggage, depending upon procedures in place at the original airport of departure, but in jurisdictions where corruption is rampant, money can, and will, be allowed to exit, after payoffs and bribes are delivered. The United States only screens arriving luggage at the secondary customs inspection point, of passengers who have been designated for further investigation. 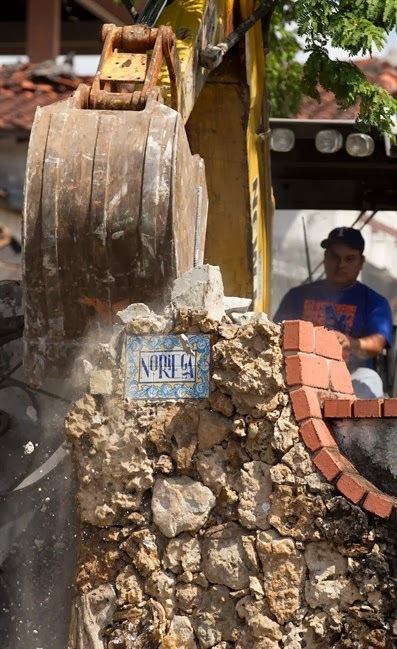 DO RECENT EARTHQUAKES IN CUBA INCREASE COUNTRY RISK IN THE CARIBBEAN ? Unless you live in Key West, Florida, you may be unaware that Cuba has recently experienced two earthquakes. Key West was the only US city that felt the event. 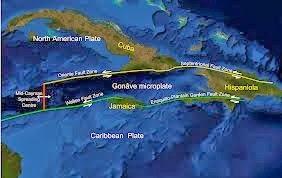 The fault line runs south of Cuba, which has a history of earthquake activity, but not in the recent past. Haiti is, as you know, also at risk. There have not previously been any recorded quakes north of Havana, until these two. What impact a major quake would be on the countries of the Caribbean cannot be estimated, but any structural damage might affect Country Risk, so we are monitoring the situation for that reason. Foreign investment in Cuba, particularly from Europe, could suffer major losses, should a natural disaster hit Havana and the other cities of Cuba. Readers who wrote me to advise that the Financial Crime Blog had been taken down, and that they were unable to access it, rest assured that it appears it was only a brief computer glitch. The blog was restored, it is back online, and at your service. Politically Exposed Persons (PEPs) from Venezuela, many of whom have amassed huge fortunes from their business dealings with corrupt senior government officials, or through narcotics trafficking, have recently left their country for what they consider to be safer surroundings, taking their illicitly-earned wealth with them. Characterized by some members of the Opposition as "Rats deserting a sinking ship," their exit is occurring due their fears that they will be imprisoned by the next democratic government that comes to power in Venezuela, and their knowledge that the quality of life in Venezuela is rapidly deteriorating. They can now be found, in increasing numbers, in the Dominican Republic, Spain, and the republic of Panama. Most consumer goods, and many staples of the Venezuelan diet, are simply not available, due to gross mismanagement of the domestic economy, the difficulty that importers have in in obtaining US Dollars, rampant crime (30,000 dead in 2013), and official corruption on a scale that is only exceeded in the Western Hemisphere by Haiti. Veteran Venezuela watchers believe that there will be a regime change this year, and this is causing the "Bolivarian Elite," who have long enjoyed obscene profits from their sweetheart contracts with the government, to cut and run while they still can. Are you banking any wealthy Venezuelan businessmen who recently relocated to the Dom Rep. Spain or Panama ? Are you ruled them out as PEPs ? Have you performed an adequate Source of Funds inquiry into their assets ? Watch yourself. 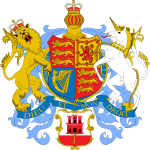 Members of the Gibraltar Association of Compliance officers, more commonly known as GACO, should be pleased to learn that I have accepted its invitation to lecture at the 20 March "Risk on the Rock" Seminar. The ash cloud from Iceland, which grounded all aircraft at Heathrow, forced the cancellation of my last speaking engagement at GACO, so I am looking forward to renewing my friendship with GACO members. The topic of my lecture is "The 21st Century Money Launderer." If you are not familiar with this compliance group, you can visit its website here*. The Government of Saudi Arabia has announced a reward program for individuals who present material evidence of money laundering; five (5) per cent of the amount seized by the authorities. Individuals at financial institutions and NGOs, and professionals, reportedly do not qualify. It is also a condition that the individuals who are reporting the crimes are no in ant way involved. Whether this new program indicates that the Saudi Government is recognizing that they have problems identifying money laundering in the Kingdom is not known. Informed sources at Venezuela's Maiquetía Simón Bolívar International Airport have reported that over four hundred members of the specially-designated global terrorist organization, Hezbollah, have arrived in-country. Their stated mission is to replace those departing members of the Cuban military, and intelligence officers, most of whom have already returned to the Republic of Cuba, as we reported earlier on this blog**. Cuban agents and military continue to be redeployed back to Cuba, and more Hezbollah troops and agents are expected to arrive, to fill those vacant positions. They are slated to assume the key security roles that Cuban officers held, at the Presidential Palace at Miraflores, Airport and seaport facilities, strategic government offices, and sensitive sites deemed essential by the Government of Venezuela. This is the first known instance of the use of Hezbollah troops, and agents, in Venezuela, in an internal security role. 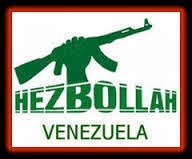 Previous Hezbollah strength in Venezuela has been estimated at 150, but those individuals are mainly engaged in narcotics trafficking, money laundering and other illegal acts that generate cash flow for the organization's Beirut leadership, in a terrorist financing capacity. They utilize government-issued Spanish-language aliases, complete with legitimate passports and Cedulas (national identity cards). Their influence has been felt in Colombian frontier areas, as well as in Panama, where they transfer funds, and launder them en route to Lebanon. This new active internal security/police/military role, when coupled with the Iranian advisers present in Venezuela, could signal a sea change in how Venezuela is governed, and what external actions it will take in the region in the future, with the support of Hezbollah cadre. Will this Hezbollah deployment in strength cause the United States to rule that the presence of foreign troops in Venezuela violates the Monroe Doctrine, or constitutes a clear and present danger to America ? Stay tuned. In an unusual move, The US Department of Commerce foiled the delivery of two General Electric jet engines to Iran, through a blocking order, coupled with the assistance of the Government of Turkey. The tradecraft employed illustrates to what lengths the Iran sanctions evaders will go to deceive legitimate businesses. (1) An American company, Adaero International Trade LLC, of Rockford, Illinois*, the seller, shipped the engines to Istanbul, Turkey, to a local aviation consulting firm, 3K Aviation Consulting & Logistics. (Reportedly, 3K officials stated publicly, and erroneously, that the sale was not subject to sanctions, because it took place outside the United States. We call that compliance malpractice where i come from). (2) The seller stated that the engines were going to Germany, to be sold to a US company there, International Aerospace Group, Inc. , of Miami, Florida, and that the actual end user was a Russian airline, located in Siberia. (3) The Turkish company supplied bogus documents that purported to show that a sale had gone through, and that the engines had been shipped to Germany, sold to the American company; The seller relied upon them, in the ordinary course of business. 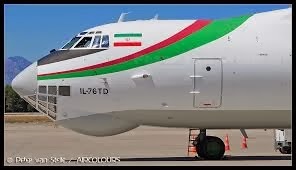 (4) In truth and in fact, the engines were still in Turkey, and an Iranian air cargo freighter , from Pouya Airlines, was scheduled to pick them up, and deliver them in Iran. Turkish authorities reportedly did not allow it to come into the country. (5) When American authorities confronted the Illinois company about the incident, its officers insisted that their documents showed the engines to be in Germany. Which company or companies conspired to evade the sanctions; seller, buyer, or consulting company ? What do we learn from this case ? (1) That Iranian sanctions evaders will forge documents, fake transactions, and deceive legitimate parties involved, all the while scheming to achieve their illegal ends. 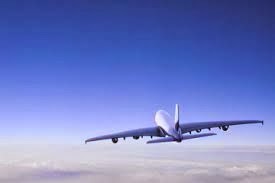 3K Aviation Consulting & Logistics should be sanctioned by OFAC. Whether its officers will be charged with a crime is not known. (2) In the future, you would do well to avoid accepting any shipping documents at face value, especially when the equipment or merchandise being sold could constitute dual-use goods that could be useful to Iran's WMD or ballistic missile programs. Iranian sanctions evaders are criminals; remember that. (3) Notwithstanding Turkey's role in preventing this shipment, it is still apparently ground zero for Iran sanctions evasion activity. Examine carefully all large international trade transactions of your clients, where the end user is in Turkey. (3) Iran will go to great lengths to acquire prohibited goods. ; ensure that your clients are not engage in illegal trade, whether wittingly or unwittingly. * a/k/a Adaero/Ilgin Engine Services; the Managing Director, who has also been banned from export for 180 days, is Recep Sadettin Ilgin, SA Turkish national, formerly with Turkish Airlines. His role in this matter is unclear. 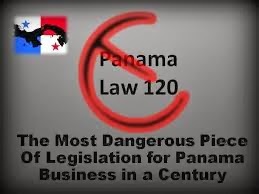 At the end of 2013, while most Panamanians were enjoying their Christmas holiday, the Government of Panama passed Law 120/2013, which imposes tax on the global income of all individuals, and corporate entities. After a universal outcry, due the fact that imposing tax upon income earned outside Panama would in essence end its existence as a tax haven, the law was then amended,which appears to be the functional equivalent of repeal, but the fact that the President of Panama was able to pass such legislation indicates the extent of his power. Compliance officers charged with the assessment of Country Risk will now be looking at Panama a bit more closely than they did in 2013, for the country is sorely in need of funds, to cover its bloated budget, and will most likely seek other revenue-sharing measures, which could seriously impact foreign investors, international financial transactions, or the repatriation of assets. Some foreign businesses that sought to wire transfer the funds in their bank accounts, during the few days that Law 120 was in effect saw their efforts blocked by their banks, who stated that they required governmental approval. One final note; visitors to the Republic of Panama are now having their photographs taken at Immigration & Customs. While this is generally of no consequence to legitimate businessmen, individuals for whom privacy is paramount, due to political conditions, or domestic crime in their own countries, or who fear that the information may increase the risk that they will become victims of crime while in Panama, should govern themselves accordingly. 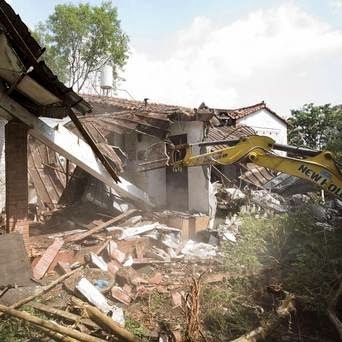 All good thing must come to an end; former Panamanian General, and head-of-state, Manuel Noriega's mansion is, today, in the process of being demolished by the government that has imprisoned him. Serving a sixty year sentence , on a variety of charges that include murder, he is not expected to ever be released, notwithstanding Panama's liberal home confinement law for senior citizen inmates. Noriega's estate, reportedly worth $2.5m when he resided there, was abandoned while he was serving his 17-year sentence in the United States. If you look closely at the above photograph, you can make out his name. 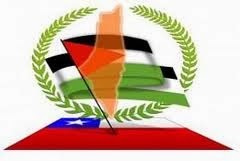 This week's controversy, involving a map of pre-1947 Palestine, serving as the numeral "one" on the uniforms of a Chilean football team, Palestino, should serve to refresh our knowledge about the fact that Chile has been used in the past by Hezbollah, Hamas, and Al-Qaeda, for terrorist financing purposes, and that it should not routinely be considered low risk, in conducting due diligence enquiries on companies, or examining international transactions. Readers not familiar with the country please be advised that Chile has the largest Palestinian population outside of the Middle East, and has been a destination for emigrating Palestinians for several decades. Compliance officers, however, do not target nationalities without further evidence; these expats and immigrants do exhibit pro-PA sympathy, but that is not issue with Chilean transactions. These individuals may be working with specially designated global terrorist organizations sanctioned by OFAC, in moving money or goods, in material support of terrorism. The ZOFRI Iquique Free Trade Zone, which is located in Chile, has been linked to transactions conducted by Hamas, Hezbollah, and Al-Qaeda, and this history should be taken into consideration by compliance officers whose bank customers engage in trade with Chilean companies. You may also remember that narcotics trafficking organizations have been attracted to Chile, as well as Argentina, as safe havens for financial transactions, far from the drug- producing and transit countries in the northern region of South America. It would be prudent to conduct Enhanced Due Diligence procedures upon matters where the surnames of the corporate officers of the Chilean companies appear not to be Hispanic, and upon matters where your bank customers do not have long-term relationships with their clients. 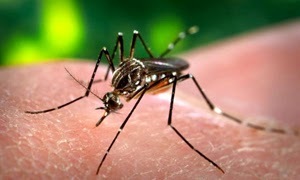 The Health Minister of the Republic of Panama has declared that there exists an epidemic of Dengue fever in his country. Two deaths have occurred, and there are a small number of the potentially fatal hemorrhagic strain reported. You may want to delay all but essential travel to Panama. 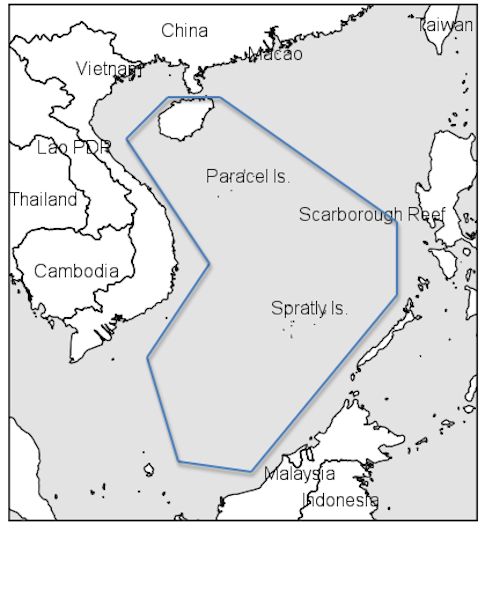 In a move sure to generate opposition from the countries in the region, China's Hainan administrative region has implemented regulations that require non-Chinese fishing vessels to obtain prior permission from Chinese authorities before sailing into, or through, the South China Sea, which China has claimed in its entirety. Fines, confiscation of catch and vessel, and even imprisonment can result from violations, according to the reports, which state that the new regulations took effect on January1. Do not expect China's neighbors, or the United States, to take this lying down; it will, unfortunately, inevitably result in maritime incidents, and the resultant increase in Country Risk. The Philippines and Vietnam both have territorial claims in the area, and their fishermen ply the waters of the South China Sea, and it is expected that Country Risk for those nations will be increased in 2014, when China seeks to enforce this new effort to expand its territory, through aggressive action.